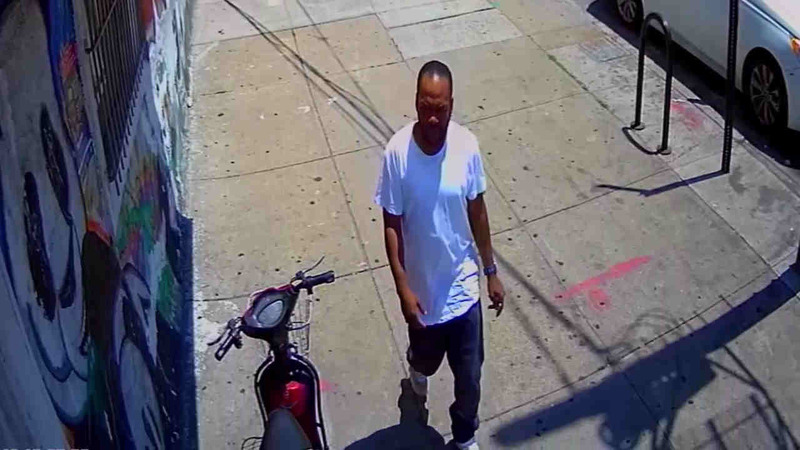 BROOKLYN, New York (WABC) -- Police are looking for a man in connection with a home invasion in Brooklyn last month. Around 1 p.m. June 19, two suspects went into the victims' residence near Utica and Atlantic avenues. According to the New York City Police Department, they threatened a man inside with a firearm, then hit him on the head. The man, and a woman and a 9-year-old boy inside were ordered to lay on the floor. The suspects took a cell phone, wallet and about $325 before fleeing, police said. On Friday, police arrested Darrell Mackins, 36, of Brooklyn, and he was charged with robbery. The NYPD is still looking for one other man in connection with the crime.